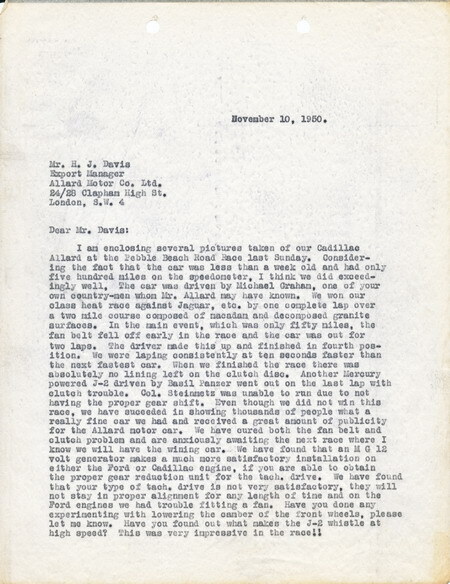 In this instalment, Al writes to the AMC about his near success at the first Pebble Beach Road Race, which very likely would have resulted in an Allard victory if it weren't for a bit of bad luck! Mr. Moss also provides some constructive criticism while sharing a bit of growing frustration with the build quality of the cars. Click here or the image above to read the 2 page letter.